I shot this photo with a Sony a7R with a Nikon Nikkor 55mm f/2.8 micro. 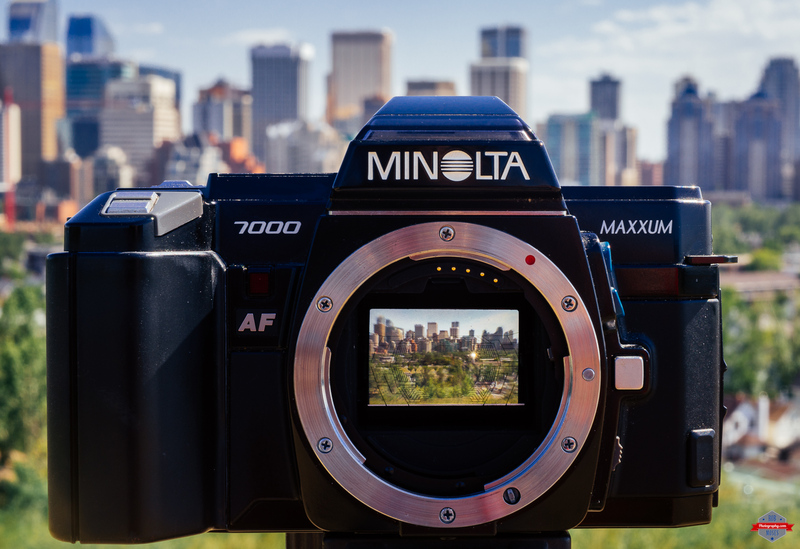 This entry was posted in Cities, Random and tagged 1980's, 7000, 80's, A7R, Alberta, Art, artsy, beautiful, blur, Bokeh, building, buildings, Calgary, camera, Canada, canadian, Canon, city, City Life, classic, downtown, film, Gear, inside, Maxxum, metro, Micro, Minolta, mirror, mirrorless, Nikon 55mm, old, Park, photo, Photographer, Photography, prime, skyscrapers, SLR, sony, still life, Sunnyside, trees, Urban, view, vintage, yyc. Bookmark the permalink. Seeing what the camera saw. Sweet shot. Love it. I used to have an old Minolta like that. Had fun taking film photos with it and developing in a dark room. Oh nice! Ya I almost wish it was still the film days. Pictures seem to have less meaning now it seems like.